THE quaint Overberg town of Botrivier has been invaded by the Italians. 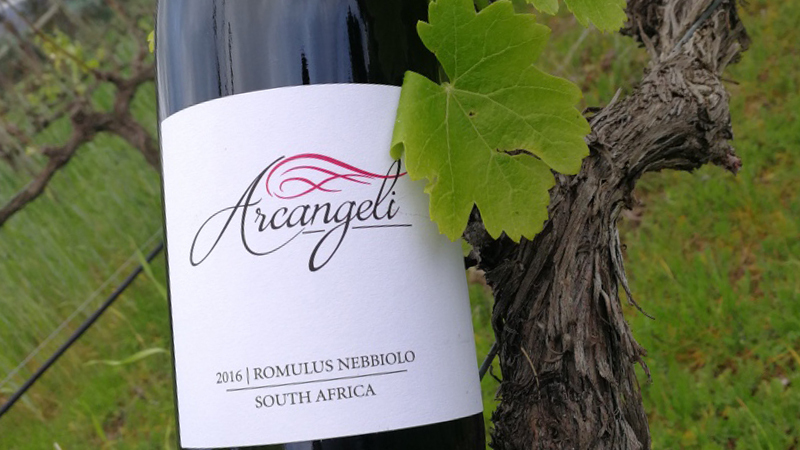 Arcangeli Wines, now in its third vintage, was established by the Arcangeli family in 2015 when Alessandro Arcangeli purchased a tiny 16 hectare farm next to the N2 on the outskirts of the town. Alessandro, a first generation import from Rome, followed his father to South Africa in his teens, and worked his way up in the family construction business based in Lesotho. He now lives on the farm with daughter and General Manager Francesca. His eldest son Fabio takes care of the construction concern in Lesotho, as well as running the family wine business and their various other concerns. To commemorate the family origins and to strengthen the Italian wine link, the Arcangeli Romulus Nebbiolo was produced for the first time in 2016. Romulus is the founder of Rome in Italy. Says Alessandro: “Nebbiolo grapes are scares locally, but we sourced some from an established vineyard in neighbouring Breedekloof to make our own distinct style of wine from this noble varietal.